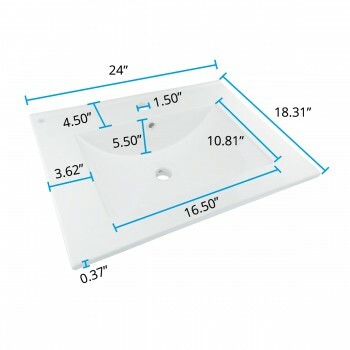 23-5/8" Wide x 18-5/16 Proj. 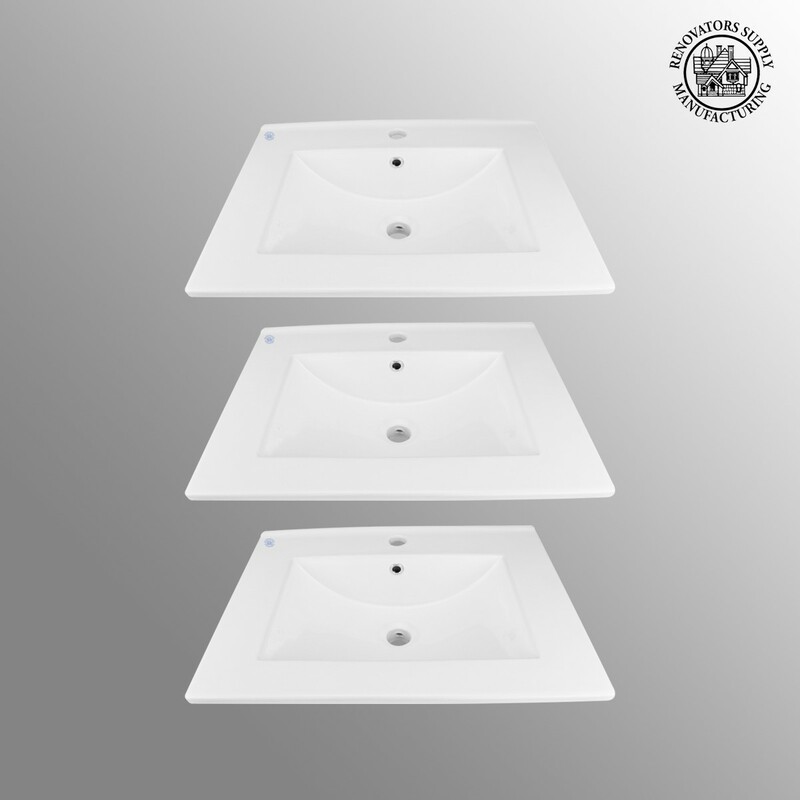 (3) pieces Drop-in Sinks: Made of Grade A vitreous China these sinks endure daily wear & tear. Our protective RENO-GLOSS finish resists common household stains & makes it an EASY CLEAN wipe-off surface. Ergonomic & elegant easy reach design reduces daily strain placed on your body. 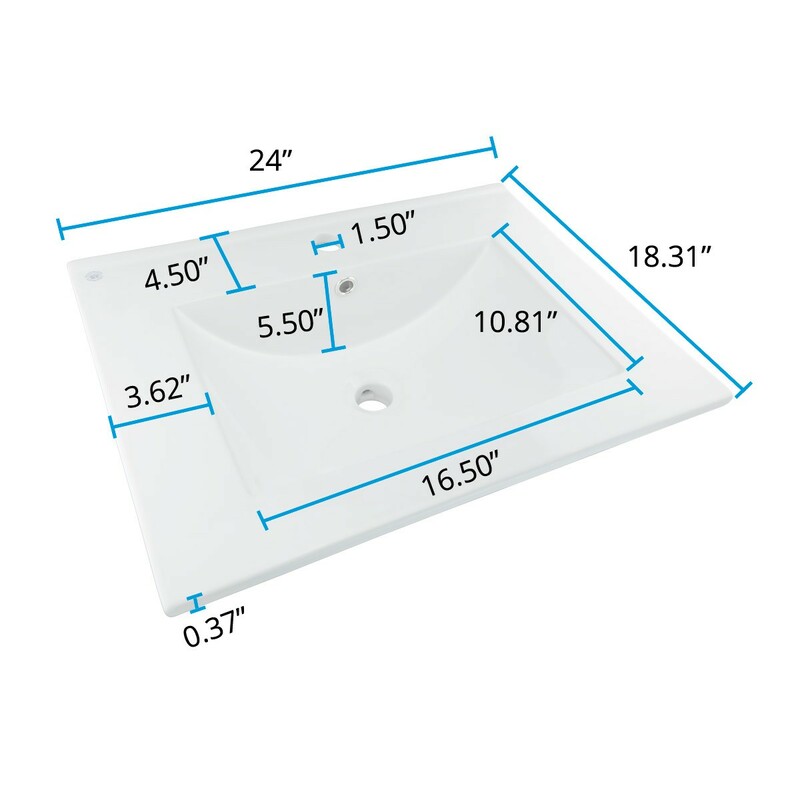 SPACE-SAVING design maximizes limited bathroom space. 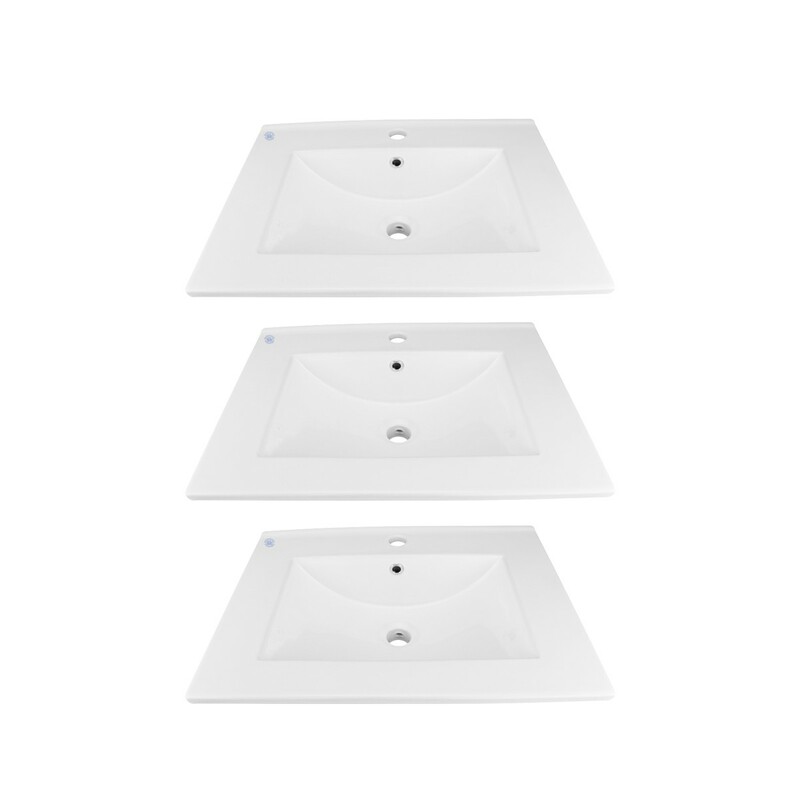 Easy, drop-in installation let's you select from many countertop designs, sold separately. Accepts single hole faucet, sold separately. 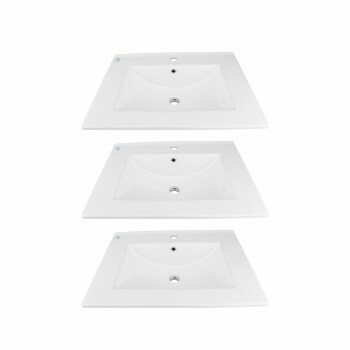 Measures 23 5/8 W x 18 5/16 proj. and is 3/8 inch thick.